If you're going on a trip, you should be considering packing up some finger foods to munch during a long ride or safe to say, to avoid buying those expensive products in the destination's food-places. 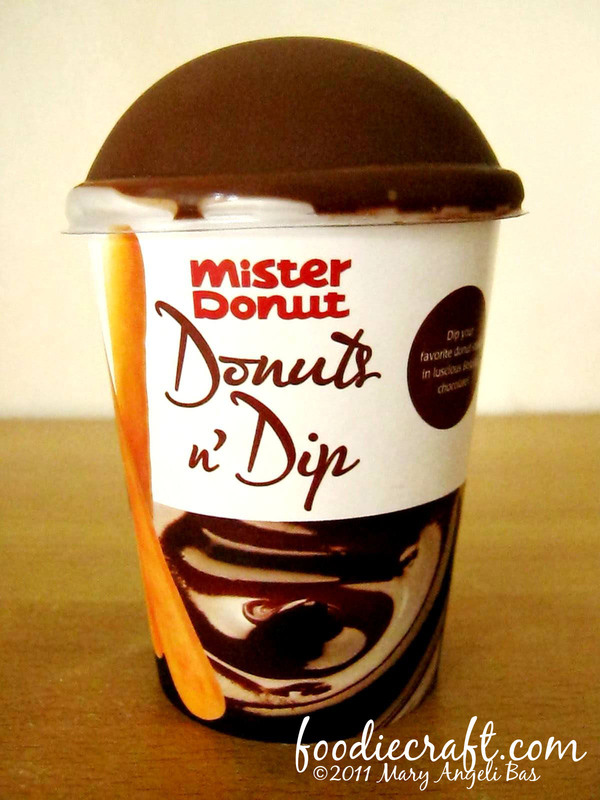 Mister Donut is selling something that is perfect for your sweet tooth on the road. 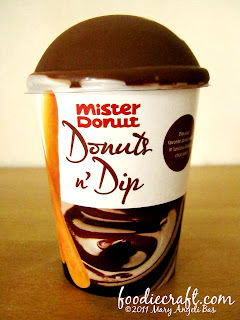 It is the Donuts n' Dip. 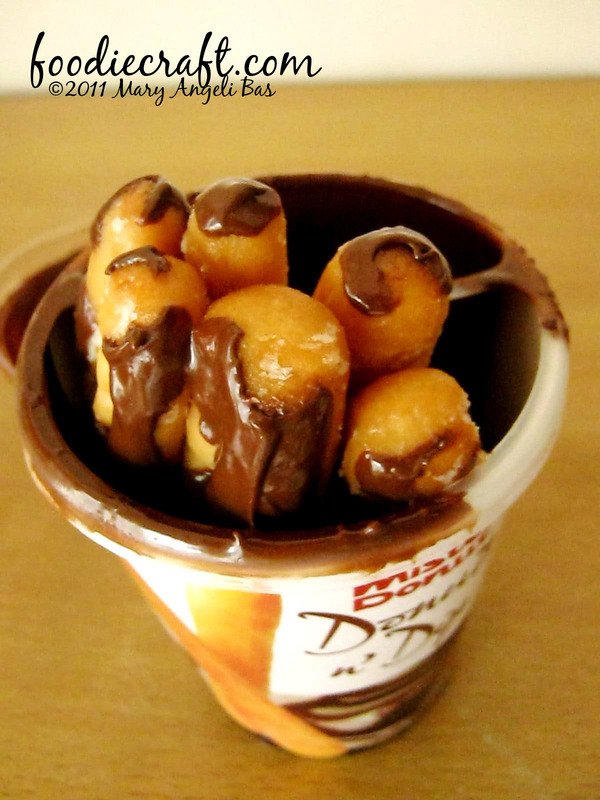 Donuts n' Dip is the outcome of a handy, attractive container; a section of chocolate syrup and a couple of bread sticks. 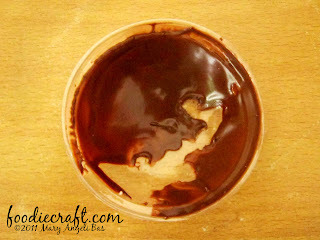 The dip is made-up of Belgian chocolate. It is so sweet, luscious and delicious. It perfectly pairs the thick bread sticks which are of no difference with the doughnut bread of the food company. The bread sticks are soft and yummy. 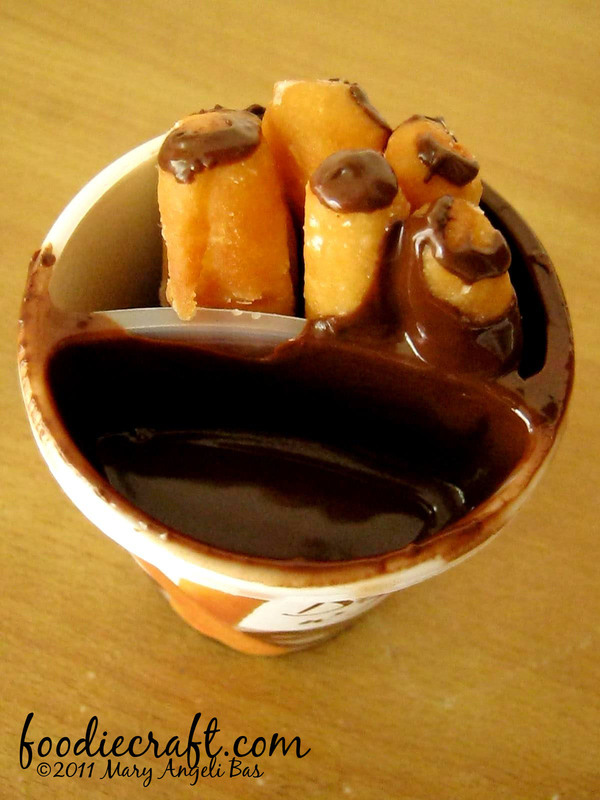 If you are familiar with Churos, then, you can easily compare it with this food product. One can think that it is actually, Churos and chocolate dip. 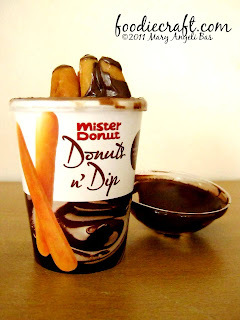 Donuts n' Dip is sold for Php45.00. Strawberry Dip is also available. 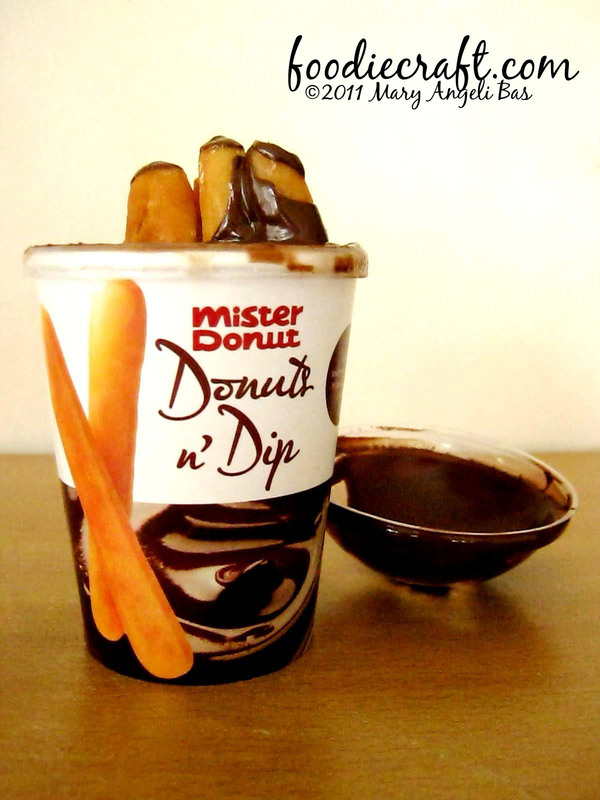 Just to clarify, the chocolate of this Donuts n' Dip melted while I was on my way home. It scattered all over the bread sticks and the container cover. 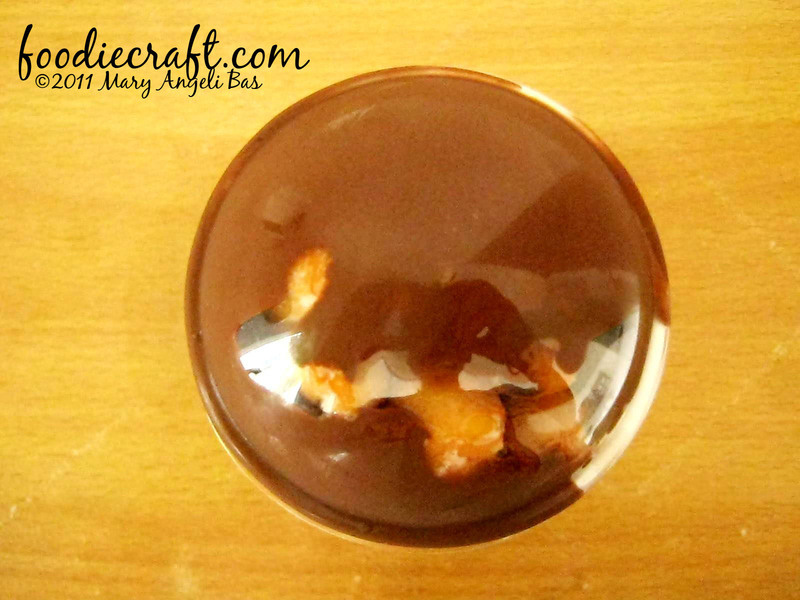 When you buy one, you'll get the ones that has a clean cover and bread sticks uncoated with chocolate.